Controlling anger is practical if you can earnestly follow the six steps listed below. Those actions will reshape the logical systems within your mind and better your life. These tips use the findings of recent research and the principles of ancient truths to calm negative emotions. Anger is a negative emotion. Once the immense inner wisdom of your mind expands to be able to control anger, it will not shrink back to its previous powerless state. Controlling anger is all about stilling the stressful signals, which originate from the amygdala. Two of these almond sized organs form a part of the limbic system, the pivotal emotions control center of your brain. This organ responds faster than any other part of your brain to sensory signals indicating a potential for pain, or conflict. While it takes about 300 milliseconds for the combined wisdom of your prefrontal regions to evaluate a situation, the amygdala sends stress signals within 20 milliseconds. Many of these hasty signals, which trigger your anger, tend to be false alarms. They can be stilled by the common sense of your prefrontal regions. Understanding the problem is one of the six constructive steps, you will need to follow to control your anger. The result will be a quieter network pattern, which will sweeten the quality of your life. Nature developed emotions to precisely control primitive behavior. Fear can cause you freeze, love to protect and anger to destroy opponents. In today's world, inappropriate anger makes you needlessly tense, suspicious and aggressive. While some think that anger can be a useful tool, it actually makes people hostile and blinds their common sense. Anger is an ineffective strategy, which should be abandoned. Anger is triggered from the amygdala ahead of your conscious awareness. LTP circuits in the amygdala sustain your anger over long periods. Those circuits also make you vulnerable to impetuous responses. While the neural memories, assembled over a lifetime make you prone to quick anger, your mind has the capacity to change your viewpoints in a flash. Abandoning anger as a strategy is the critical change in viewpoint required from you. 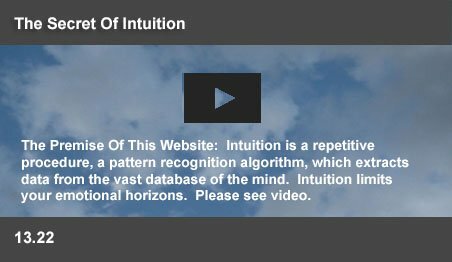 The Self Improvement Plan in this website suggests a routine to enable you to recognize and subdue the pivotal anger within you. After coming to terms with your primary anger, you will stll be the victim of anger triggered by the LTP circuits in your amygdala. Such residual anger can be stilled one by one, by recognizing their outward symptoms. Many typical symptoms are listed. You can't wish away your anger, because your mind disregards mere wishes. But the six steps described below can compel your mind to become quieter. First you need to understand the mechanisms of anger. Second, your mind needs to be convinced that anger is a problem and not a solution. Third, you need to come to terms with the pivotal sources of your anger. Fourth you have to train your mind to detect the onset of anger, whenever it raises its head. A simple breathing exercise is the fifth step to quickly calm your bursts of irritability. The sixth step is to become self aware. These exercises will act to still your anger. With each step, your common sense wins and your neural circuits will be freed from one more knee jerk response. Follow these six steps and stop seething against the inevitable thorns and barbs of existence and accept life as it is, with its many unwanted potholes. The first step is to understand the anger emotion. Nature developed emotional controls to precisely control the behavior of animals for their protection. Fear paralyzes them and anger causes them to attack. The same emotions control you. As an example, fear can destroy your simple ability to walk on a wooden plank. Fear signals from the amygdala will freeze you in place, unable to take a single step, if that plank spans a wide and deep gutter. Nature wants you to respond quickly to dangers. Your amygdala interprets sensory signals, including smells, which indicate the faintest prospect of pain, or conflict. Those signals heighten your reflexes, activate facial nerves to express fear or anger, increase heartbeats, respiration and the release of stress hormones. While most neural signals fade with time, a process called long term potentiation (LTP) heightens the neural responses by the amygdala. LTP makes you remember and respond more strongly to stinging events from the past. If someone insults you, the amygdala will signal a potential for stress on detecting any hint of the culprit. Laboratory tests show activity in the amygdala at even the sight of the photo of an angry face. While you may forget a compliment, the amygdala will not let you forget a slight. If anger is a problem for you, it is because your amygdala has become over sensitive to many real and imagined stress points. Paul Eckman, the famous emotions scientist said "We become aware a quarter, or half second after the emotion begins. I do not choose to have an emotion, to become afraid, or to become angry. I am suddenly angry. I can usually figure out later what someone did that caused the emotion." Controlling anger becomes difficult, because of this problem. The amygdala signals the fight, or flight response within 20 milliseconds. While the amygdala responds with such speed, your prefrontal regions take up to 300 milliseconds to reach a sane, common sense view of the same situation. If your amygdala tends to over react, your stress response will overwhelm you even as your common sense realizes that the threatening snake is only a garden hose. Controlling anger is about stilling the over reaction of the amygdala by strengthening the knowledge base of your common sense. The first step in controlling anger is to understand that your common sense has the power to quiet your anger, which is merely the over sensitivity of your amygdala. The second step in controlling anger is to make your common sense understand that anger is a problem and not a solution. Your signal patterns have been developed over millions of years of evolutionary history and firmed up over a lifetime of experiences. You carry memories of both successful and failed encounters, managed by your anger. As an infant, angry responses may have worked. The school yard may have reinforced your faith in the success of anger. Later in life, anger may have brought a mixed bag of results. Your attitudes have been set through thousands of interactions with people. If anger has been your involuntary and habitual response, then, for you, anger appears to be the most effective reaction to a crisis. Those memories have been coded by LTP into your nerve cells. You may have come to believe in anger. This view is supported by some health advisors, who believe that anger is a positive, pure and constructive emotion, which provides the motivation and energy for a person to assert his difference. They consider an undifferentiated pre-verbal rage to be the problem, which causes irrational and violent behaviors. While supporting anger, they suggest an empathic therapeutic relationship to deal with rage. But, this is like locking the stable after the horse has bolted. This view comes from a false hope that the anger emotion can be controlled. Anger can be controlled only when your common sense is vigilant to the danger that the emotion can go out of control. If allowed free rein, anger is an unmanageable emotion, which can boil over from mild resentment to profanity and even violence within seconds. Such escalation is inbuilt into the anger mechanism. The primary objective of anger is to destroy opponents and that of fear, to escape danger. Nature has programmed fear and anger to amplify their own influence on your mind. Nature's objective is to make you escape faster, or to fight more vigorously. Nature's secondary goal works to make you more fearful, or more angry. Fear will intensify into panic by recalling past events, which made you fearful. Subconscious anger constantly seeks to reinforce itself. Anger makes you avert your eyes and prevents you from smiling at your opponent. Anger removes the normal sympathy and respect you feel for a person. Without your conscious awareness, it will instill within you an enduring contempt and distrust for people. Such distrust will appear to be perfectly natural. Covert anger will impel you to harm, or hurt the people you interact with, including your subordinates. To reinforce its existential hostility, covert anger could induce you to even cripple your own project. Or, anger will subtly guide you to fail in your project to intensify your resentment against a malicious fate, which “destined” you to failure. It could cause you to make needless sacrifices to bolster its own sense of injustice. With overt anger, you will attack others so that they too will respond angrily. The anger emotion cripples you without your conscious awareness. Controlling Anger –Which Is The Right Response? To control anger, it is imperative that you feel deep inside that anger is not the right solution. If your friend insults you, how should you respond? Anger will make you feel irritated with his constant carping. With common sense, you will Ignore the barb. With tact, you will change the subject. With humor, you will make a joke out of the insult. With compassion, you will smile at his weakness. Anger, common sense, humor and kindness are all possible emotional response strategies. If you are prone to anger, the LTP circuits trigger visceral reactions, intensifying your hostility. In the meanwhile, a few milliseconds too late, your common sense discovers the triviality of the issue. But, anger has already stilled such kindly thoughts, which could weaken your resolve to punish your friend. Indifferent to consequences, you lash out. Anger is the worst solution. Some people mistake assertiveness for anger. An assertive person may glare at her opponent. A glare merely thrusts your eyeballs forwards a millimeter. That usually intimidates people and makes them more compliant. School teachers, who face rebellious students may use a controlled glare to bring about disciplined behavior in class. But, that is controlled assertiveness, not anger. Anger fails to achieve worthwhile goals. They have overbooked a flight and offloaded you. The airline official expects trouble. Actually, he shares your values and knows your problem. It is bad to be offloaded, but he has too few seats. Politeness may only get you a brush off. Calm assertiveness may intimidate the official and even get you a seat. But, anger will blind you to the limitations faced by the official and antagonize him. You will spend the night in a hotel. If the official yells back in anger, you will still sleep in the hotel - after an unseemly brawl. Controlling anger is vital, because anger escalates quickly and ruins relationships. It spoils the chances for a comfortable coexistence with your opponents. If, on the other hand, your objective is the total annihilation of your opponent, you need all your senses around you, not blind rage. In his famous novel, James Clavell outlines the deliberate strategy of Lord Toranaga to destroy his last powerful rival and become the Shogun of Japan. He speculated that he would simply wait patiently until “one day, he will make one mistake and then, he too will be gone!” That strategy entails patience and an unparalleled level of clear sighted vision, not blind rage. All things considered, anger is more a problem than a solution. If you come to believe that anger is your problem, your common sense becomes stronger against the rampages by the amygdala. If you continue to believe that anger will get you results, your battle against anger is lost. By accepting the futility of anger, the control of anger suddenly becomes possible. Your amygdala becomes quieter, when your common sense opposes its outbursts. Each subsequent victory over anger will keep strengthening your common sense. The process will change your emotional viewpoint and modify your attitude to life. The second step in controlling anger is to become convinced that anger is a problem and not a solution. The third step in controlling anger is to still your existential anger. 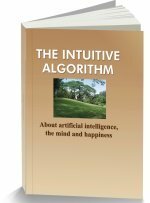 This website offers you a simple routine, (A Self Improvement Plan) which can bring your deepest concerns out into the open. Spend a couple of hours on it. It depends on the capability of your mind to search within and find any information, which you consciously seek. Just as you can sit down and write a shopping list, you can list out the more important things, which you find to be offensive in life. Which of the threats, which you face in your life affecting your job, family affairs, money matters, social life, or political situation, do you find to be really unacceptable? Write down the list. Add to that list the things you can do to change each situation. Reflect whether you can accept the situation if you can do nothing about it. The process may take a couple of hours. The action you have taken is to look squarely at the unacceptable aspects of your life. When you look directly at those aspects, you will realize that you can live with those problems. The sun will rise again, even if the problem is not solved! That is a powerful cleansing exercise. Acceptance of the harsh realities of life is the third step in controlling anger. You will have accepted the pivotal causes of your anger and changed your view of life in just a couple of hours! The fourth step in controlling anger is to use the power of your common sense – the attention of your prefrontal regions - to still emotions. After you have calmly accepted the limitations of your life, remember that the automatic tendency to anger still remains as LTP circuits in your amygdala. You will need to be rid of those impulses one by one as they occur. Each time your prefrontal common sense recognizes an anger impulse, its power to control your mind will be stilled. Become aware of the tell tale anger symptoms. Tension in your eye muscles, the rise of foul language in describing the situation are typical symptoms, which you can recognize. Recognition of the symptom will still the anger emotion. Those will become “Aha” moments of discovery. Repetitive practice will make the change permanent and you will have taken the fourth step in controlling anger. The fifth step in controlling anger is a simple breathing exercise. This easy exercise can deal with sudden anger. Laughter invariably stills anger, but laughter is not easy in a tense situation. If you can become aware of your anger, pumping your stomach is simple and it has the same physical effect as laughter. Repeatedly expel air by tightening stomach muscles close to the pelvic area. With habit, stomach pumping can be a simple, built in response to sudden tension. The process is aerobic, providing a workout for the diaphragm. The workout reduces the hormones associated with the stress response. A decrease in stress hormones relieves constricted blood vessels. With subdued visceral responses, memories of the original stress stimulus disappear. The sixth step in controlling anger is a continuous habit of self awareness. Stomach pumping can subdue mild attacks of anger. But, your LTP circuits will respond to unexpected signals of troubling events, which you have forgotten long ago. Most of the time, you will have no awareness that a residual anger burns within you. You have to become conscious of the stresses triggered by such signals. Your residual anger needs to be stilled by consciously observing the symptoms. Recognition will still the emotion. Once you understand how anger works, the acceptance of life, a conviction that anger is a problem, the recognition of anger signals, stomach pumping and self awareness are the five remaining keys to controlling anger. You will have succeeded, when you come to view those events, which angered you earlier, to be unemotional happenings. The Buddhists sought to achieve a state of mind, where your response to a crisis is to feel the way way you would when you see a bird in the sky - the crisis is just another event in your life.